(Washington, DC)—The American Horse Council (AHC) is pleased to announce that Jean Ligon, Chair of the Coalition of State Horse Councils (CSHC), and Billy Smith, Executive Director of the American Paint Horse Association (APHA), have been selected to the two at-large seats on the AHC’s Board of Trustees. Announced in September 2017, the addition of the two at-large seats came after a review of a task force formed to review the AHC’s overall governance structure and ensure relevancy and best practices. Ms. Ligon has been an avid lifelong equestrian and was an Arabian horse breeder for more than 25 years. Since returning to school in 1988 to earn her law degree, she has limited her equestrian activities to keeping a few pleasure horses at home for recreational riding on Michigan’s horse trails. This soon led her to become an advocate of equestrian interests in zoning and land use, which she remains to this day. She has served on her township’s planning commission since 2003, and is currently its secretary, a post she has held for a number of years. 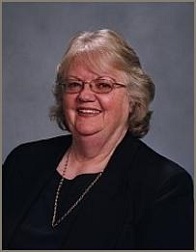 During her tenure, in 2005, her township developed the first Master Plan in Michigan that openly acknowledged the economic and other benefits a strong equestrian presence in the Township brought to the local community. Ligon has also been a featured speaker at seminars on various legal topics and has authored numerous articles in legal publications and the general press on land use and zoning issues, especially as related to preservation of open spaces, recreational trails, suburban horsekeeping, and other equestrian issues. Elected to the second seat, Billy Smith is the current Executive Director of the APHA- the world’s second largest equine breed association, with more than 50,000 worldwide members. 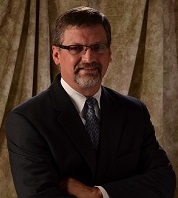 Mr. Smith graduated in 1984 from the University of North Texas with degrees in business and journalism, and in 1989 with a master’s degree from Texas Tech University in public relations and advertising and completed a doctorate in education in 1999. He spent 8 years as a practicing journalist covering medical and scientific subjects as well as a stint covering the closing of wars in both El Salvador and Nicaragua. He taught journalism for 10 years at West Texas A&M University and led a small market research firm, Strategic Media Research, before joining the American Quarter Horse Association where he served as executive director of information technology and various marketing roles for 13 years. His is married to Melinda Kay Moreland, a 1984 graduate of Baylor University and has two children, Lauren, an attorney in New York City and a graduate of Baylor University and Hunter, a member of the United States Marine Corp.
Information about the Governance structure of the AHC can be found on the AHC’s website here: https://www.horsecouncil.org/governance/. Please contact the AHC at info@horsecouncil.org for any further questions.